We live in the overflowing land of opportunity. Every year it gets harder and harder to know where to focus. Should you start the vlog, or the podcast? Say yes to this speaking engagement, or that one? Host your own mastermind, or join theirs? Build this product, or the other one? The questions are endless, leaving entrepreneurs all over the country confused and indecisive. In this age, the problem is not finding opportunities, but rather deciding which ones are worth pursuing. At the end of the day, we are all looking for noticeable progress in the reach, impact, and development of our personal brands. Running a personal brand requires you to make a multitude of decisions a day, and each decision demands a significant amount of energy and focus. Which is why it is so important that we prioritize the decision-making process and have the ability to swiftly analyze opportunities as they become available. So how do you decide the best path to take, what to focus on, and what opportunities to let go of? The truth is many factors play an essential role in weighing opportunities such as time cost, emotional, financial, return on investment…and the list goes on. In this post, we want to highlight four questions and Personal Brand’s approach to thinking about opportunities and provide you with some guiding questions as you navigate your way through the decision-making process. Before you make any decisions, you must first ask yourself what your motives and intentions are behind the gleaming opportunity. It’s time to put the opportunity into perspective. Why do you want it? Is it because you saw someone else implement a similar strategy and they gained new followers or leads? Are you in it to gain a certain social status? How about financial? Remember that what may be working for someone else’s business might not be the right opportunity for you right now. Personal brand experts are pursuant of meaningful work, creating and ultimately choosing opportunities that affect their communities in a positive way through the work they do daily, regardless of the nature of that work. They find that their true motivation is their necessity to bring their unique message to the world, everything else that comes with the title is merely a bonus. With this in mind, take a moment to evaluate if the underlying motive pairs your passion with your purpose. You’ll know it in your core. Keep your motives in check, and the opportunities will become ever-clearer. You’ve done it before, and found yourself saying, “Yes” to something that you know you didn’t want to do in the first place. Before the task even begins, you’re dreading it. The bottom line: If the opportunity doesn’t bring you joy in the process, then consider it a red flag. Here’s why: If you’re not able to firmly declare that something within the opportunity excites you to the core, regardless of the work involved, then you will find yourself dreading the task. Pretty soon, you’ll find yourself dreading your work and stuck in the slow lane. If you aren’t joyful in your work, it will show in your final product. Let’s remember that you are on the path of meaningful work, and all opportunities that don’t embody that should be left behind. Do work that matters to you, and you’ll do work that matters to the people. If taking this opportunity will strain your energy and resources so that you can’t live up to existing commitments, you’re better off passing it by. Yes, one way or the other there is never-ending amounts of work to be done. But no opportunity is worth sacrificing your sanity over! Determining the amount of work, time and effort needed to complete the job or opportunity will help you to make your decision faster. Take a moment to write down the clear path of work required on your end that the opportunity demands. You can even take it a step further and approximate the amount of time each task will take. If you’re finding that the amount of work will demand that you compromise your values or integrity, then you may need to re-assess if the opportunity is worth it. Slogging your way through misery will end up in mediocre work. Honoring yourself and your time is the most important gift you could ever consistently give yourself. No opportunity is worth jeopardizing the things that matter most to you. If it’s going to wreak havoc on your marriage, community, stress level, or well-being, then you must have the courage to let it go. This is probably the most critical question of all. But the truth is, opportunities are often masked as distractions. And while you may grow in one area, it’s always at the expense of another. I’ve watched countless entrepreneurs chase every opportunity available only to be left scratching their heads wondering how in the world they are going to stay on top of it all. They are left confused and scatterbrained. Before jumping at an opportunity, you need to go back to YOUR basics. You’ve already established your mission, vision, and goals, both for the coming year and for the long term. So how does this opportunity fit in with those mission, visions, and goals? If the opportunity does not support or match these core things, then you just may be looking at a distraction. Every opportunity that you give your, “yes” to must move you toward fulfilling your mission, vision, and significant goals. The greater amount of competency and confidence that the opportunity can provide you with, the better. Focus on the needle movers of your business and say no to anything else that may be a false alarm or distraction. Your future self will thank you. As an entrepreneur, you are bound to be met with endless opportunities. It is imperative that you master the art of vetting your opportunities so that you avoid spending years, or maybe even decades of time chasing a fruitless endeavor. • What are my motives behind this opportunity? • Will it bring me joy? • Will it consume me? • Will it grow me? 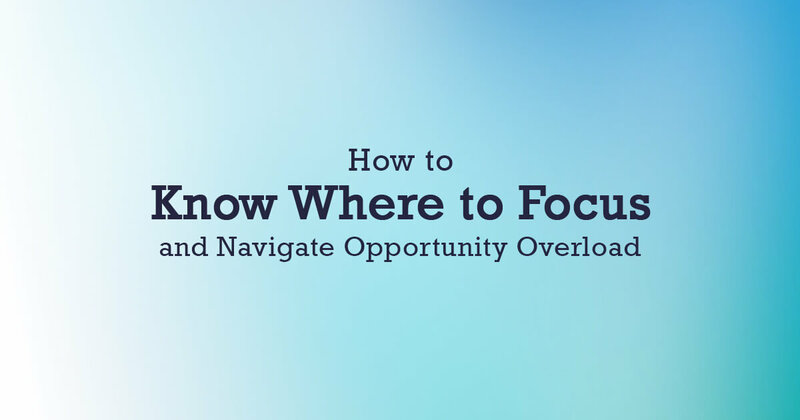 Keeping these questions at the forefront of your decision-making will help you to navigate through opportunity overload, and know where to focus your efforts and resources. What’s the opportunity you’re evaluating right now? 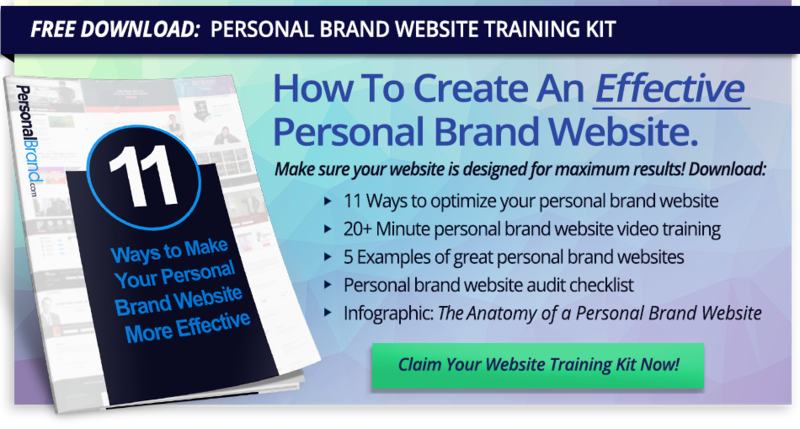 If you enjoyed this post, be sure to join our private, Personal Brand Builders Community to stay up-to-date on the latest tools, strategies, and best practices for building your personal brand. It’s free… and awesome! We hope you enjoyed this article, thanks for reading! Also, follow us on Facebook, and Twitter for updates every time we publish! What is a Personal Brand? Why is a Personal Brand Important? Copyright © 2019, Paperplane HQ. All Rights Reserved.